Several retailers, including Sephora, Target, and Walmart, market their own beauty boxes, while Trunk Club—a prominent, online-based personal styling service—is owned and operated by department store chain Nordstrom. 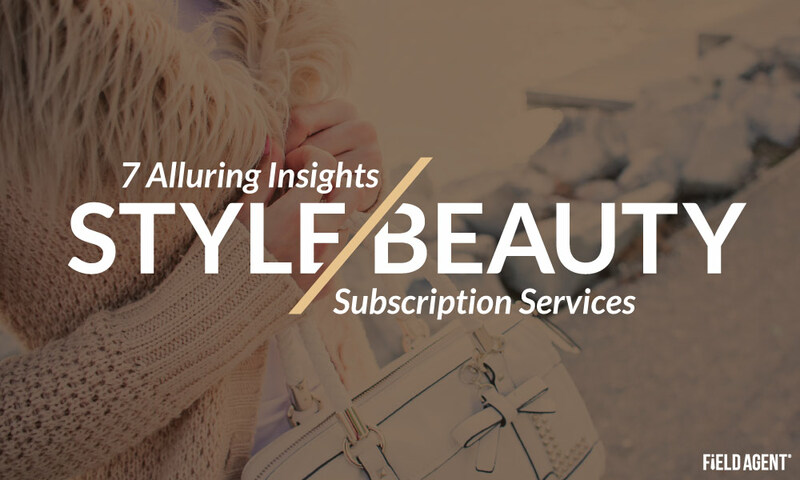 Thus, style and beauty subscription services have emerged as a high-profile topic within the larger retail industry. 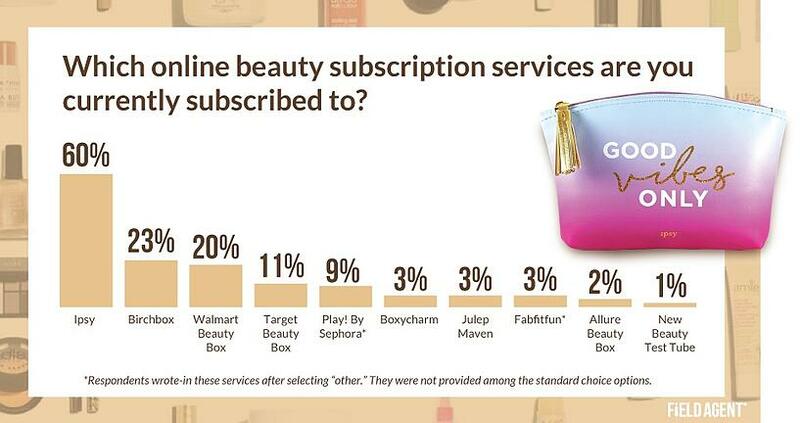 But which subscription brands are winning shoppers, and just how long will beauty-in-a-box stay on the upswing? Which Style, Beauty Subscriptions are Hot with Women? Retail-auditing and insights firm Field Agent conducted three surveys to understand women’s purchase attitudes, behaviors, and preferences toward style and beauty subscription services. 1. 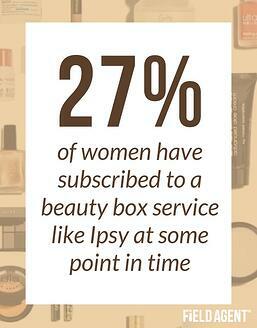 How popular is the subscription-based, beauty-in-a-box model with female shoppers? Unsurprisingly, at 78%, mass merchandisers like Walmart and Target were the most popular beauty destinations. Compare this to beauty subscription services, which only 12% say they commonly use to purchase cosmetics. 2. Which beauty subscription services are most popular among women? For this question, Field Agent conducted a separate survey of 205 women who presently subscribe to one or more beauty boxes. Each respondent was required to submit photo proof. By a long shot, Ipsy (60%) was the most prevalent beauty subscription service in our survey, with Birchbox 37 points behind in second place. Interestingly, as the chart shows, the next three beauty boxes are all associated with conventional B&M retailers. 3. How happy are these women with their beauty box subscriptions? 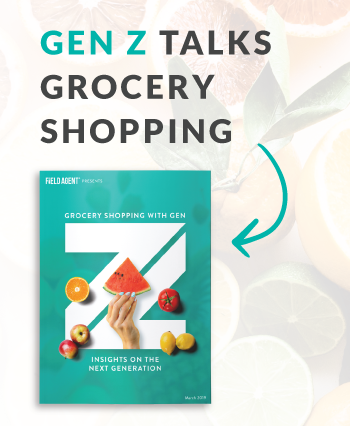 Seventy-six percent of current subscribers surveyed (N = 205) by Field Agent are “completely” or “very likely” to continue their subscription over the next three years. Among Ipsy users (i.e., those who use Ipsy and only Ipsy; n = 85), 71% showed high continued-usage intentions (i.e., completely or very likely to continue). They’re pretty happy, it seems. 4. Which online personal styling services are really turning women’s heads? Field Agent also surveyed 209 bona fide female users of online personal-styling services. Here, too, women had to be current subscribers to one or more services, and photo proof was required. Stitch Fix absolutely stole the show. A whopping 72% of women surveyed said they’re presently subscribed to the service, compared to 11% for second place finisher Trunk Club. 5. And what about continued usage for personal styling services like Stitch Fix? Not quite as strong as beauty boxes. Still, more than half of female respondents (57%) indicated they’re completely or very likely to continue their subscriptions over the next three years. Among Stitch Fix users alone, 55% said they’re completely/very likely to continue. 6. How much of their overall clothing and beauty supplies do women obtain through subscription services? In our survey of 209 female users of online personal-styling services, only 17% of women say they obtain more than half of their new clothing from such services. This percentage was somewhat more for beauty subscription services, something we treat in detail in our full 2017 style and beauty report. Download it below. 7. 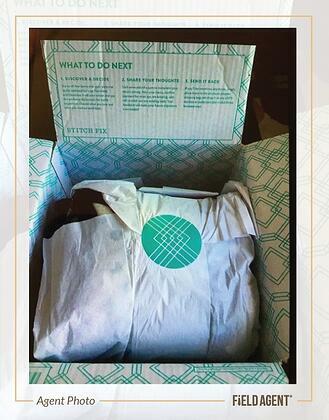 Do women prefer beauty-in-a-box subscription services to shopping inside stores? Well, with respect to new clothing, women were pretty much split. 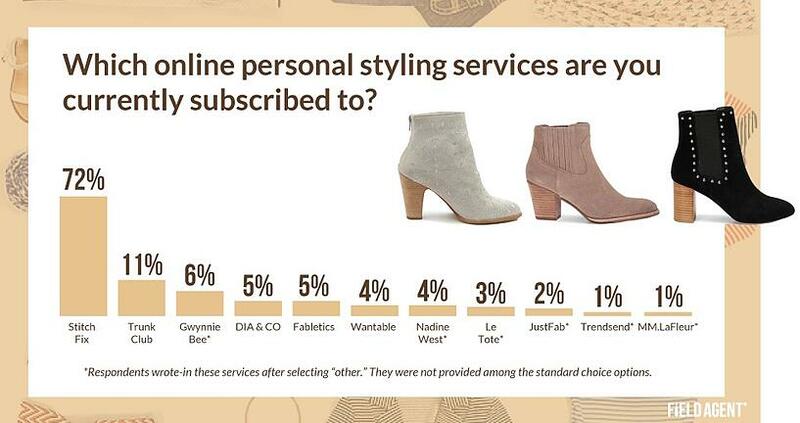 A little more than half (51%) of current subscribers (n = 209) said they prefer acquiring new clothes from online personal-styling services like Stitch Fix and Trunk Club. The remainder prefers shopping for new clothes in stores. Insights never looked so good! Get your copy today.